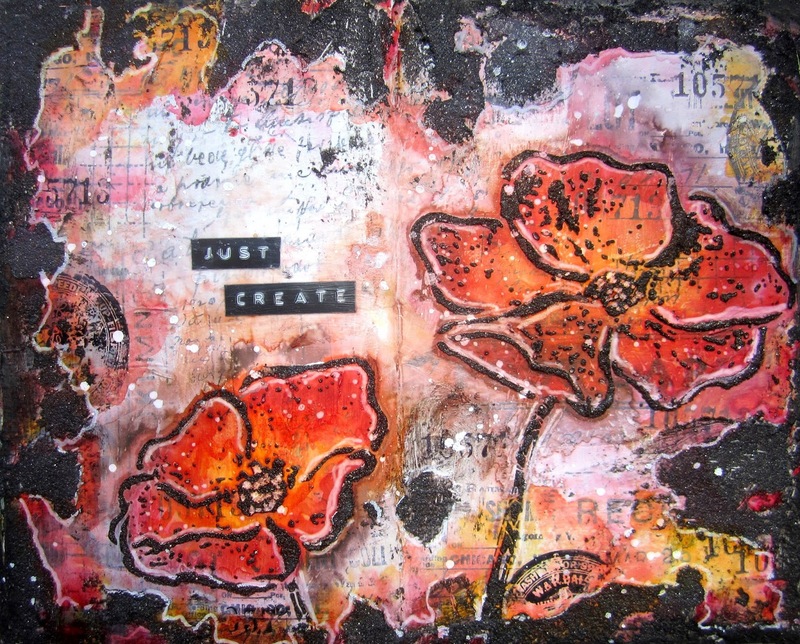 today I want to share my art journal created live on the Artists Live Ustream channel on June 26th. It has a lot of texture and color that i designed using a variety of products from different Manufacturers. 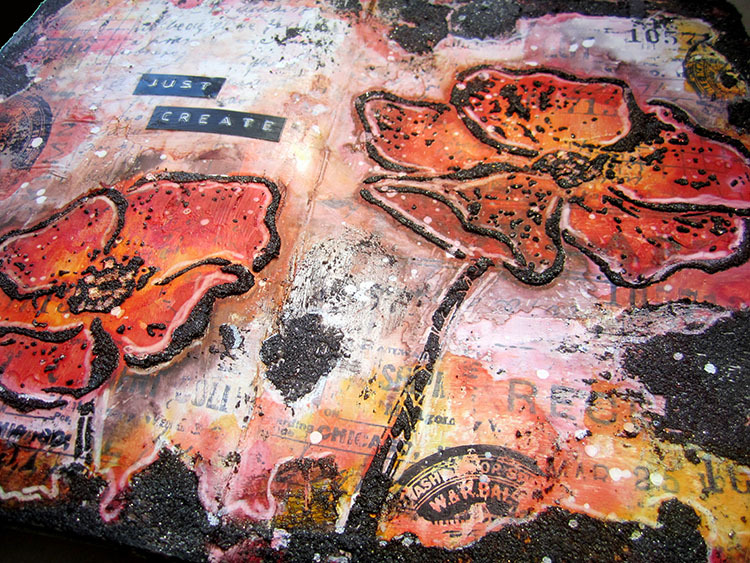 I used Donna Downey Anemone’s stencil for the design, Jane Davenport’s Mermaid markers for the color, Prima Finnabair Graphite textured paste for the texture and Tim Holtz tissue paper and etcetera stamps for the distressed background. Don’t want to miss any live shows? like Artists Live on Facebook where we announce all the upcoming shows!! Just found this video and have a question about the Mermaid Markers. I am wondering if these could be used for mixed media canvas projects in place of sprays. I have watched a lot of your videos where you create projects using different sprays. There are so many different brands and colors to choose from. The Mermaid Markers seem to give the same fluid look that a spray would give – more controlled though. Do you think the markers could be used instead of sprays? I would be using them along with the Art Alchemy Metallique or Sparks paints. Do you know if they would work together? Hey Charlene yes definitely they are highly pigmented and can be used instead of sprays. I actually use sprays sometimes with a paintbrush as well so its the same thing. It is more controlled that’s why I like them. the acrylic paints (metllique or sparks) might resist them but thats a great effect too. Now I’m obsessed with the Marabu sprays because they are permanent. 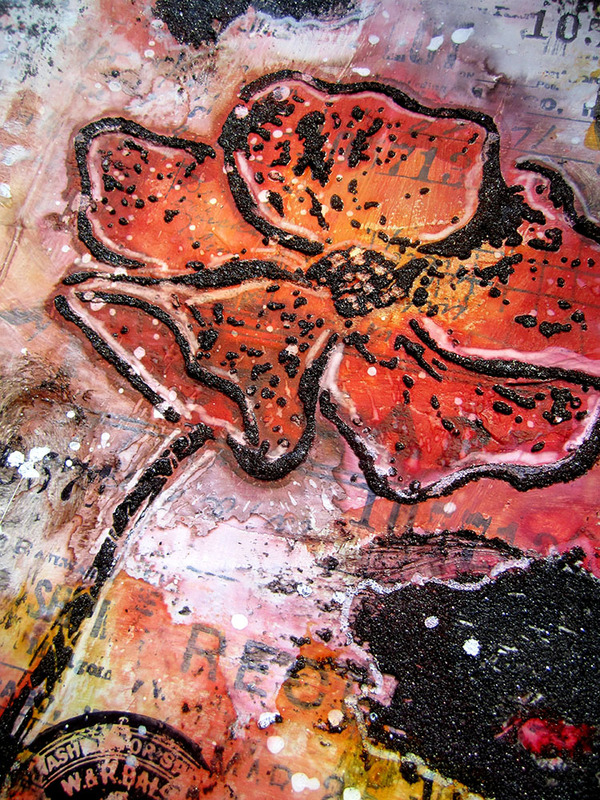 check out some of my recent art journaling videos to see what I mean. I also have a video all about sprays that might help although I don’t have the marabu as part of it as I discovered them this year.